To say that the men’s basketball team has lofty expectations for the upcoming season would be a massive understatement. After steamrolling through the Canada West regular season with a 17-1 record, the ‘Birds 2016/17 campaign came to an abrupt end after a home series sweep at the hands of the Manitoba Bisons in the first round of the playoffs. Fast forward six months and the ‘Birds have revamped and reloaded, boasting one of the more impressive recruitment classes in recent memory while only losing two key cogs from last season: Jordan Jensen-Whyte and Will Ondrick. 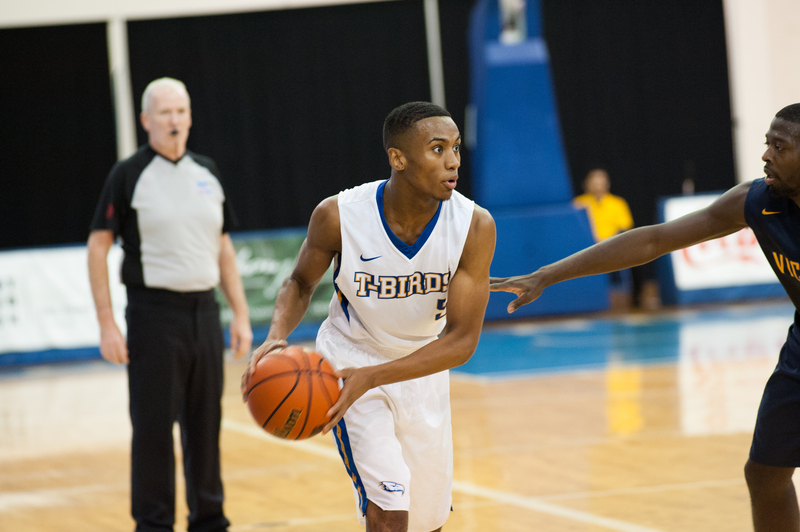 Ondrick was an efficient player on both ends of the floor for UBC and served as the supplementary scorer behind an offence revolving around Conor Morgan — arguably one of the most versatile players in the nation. However, the embarrassment of riches at head coach Kevin Hanson’s disposal in the wing and guard department should be able to absorb the minutes that Ondrick provided. 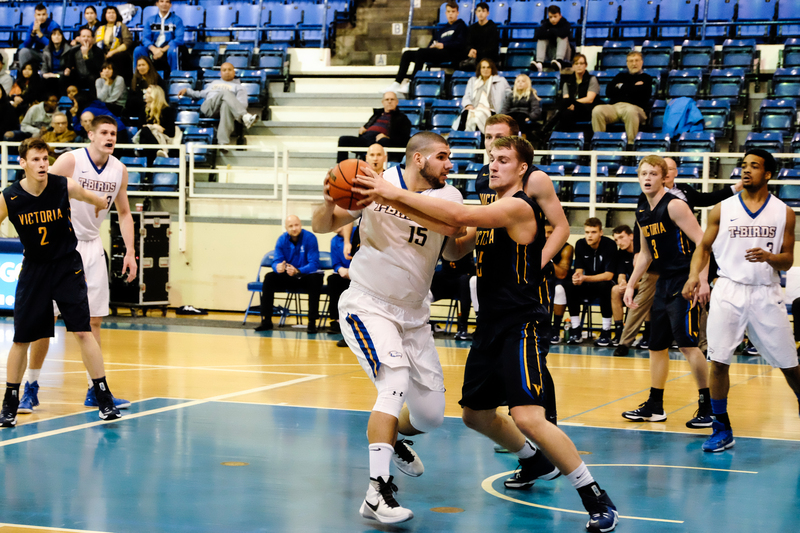 Harder to replace will be the leadership provided both on and off the court by Jorden Jensen-Whyte, the deserved recipient of Canada West Defensive Player of the Year honours in 2016. A lockdown on-ball defender with a seemingly endless gas tank, Jensen-Whyte was the spark plug that charged the ‘Birds. With coach Hanson possessing a finite amount of minutes for a backcourt that runs six to seven guards deep, the player that emerges with Jensen-Whyte’s doggedness may earn crunch time minutes come playoffs. The brightest news for the ‘Birds this offseason was the return of star player Conor Morgan, now in his final year of eligibility. The Canada West Outstanding Player of the Year poured in 23.1 points and hauled in 7.3 rebounds per game last season. A hallmark of scoring efficiency, Morgan dazzled fans with an array of dominant offensive performances while also assuming the role of defensive anchor and predominant rim protector. Third-year wing Taylor Browne also looks set to take significant strides forward. His shooting touch was exceptional last season, shooting a team-high 41.6 per cent from three-point range. Opposing defences can no longer throw double teams in Morgan’s direction in the paint or else they risk giving Browne wide-open shots from deep. Joining Morgan in the front court are Luka Zaharijevic and highly touted rookie Grant Shephard. Zaharijevic has proven to be a consistent presence on the ‘Birds squad; his rebounding ability relieves pressure for Conor Morgan and offers coach Hanson versatility against more physical opposition. The buzz around Shephard, who turned down numerous NCAA Division 1 schools to don the blue and gold, has only heightened since his Junior World Championship victory with the U-19 national team. If the 18 year-old can develop on-court chemistry with Morgan, then national championship aspirations could very well become a reality. Two other players are awaiting their first taste of UBC basketball at the point guard position: Kelowna Owls graduate Mason Bourcier and University of Saskatchewan transfer Jauquin Bennett-Boire. Bennett-Boire impressed in his first year of university basketball, but was forced to redshirt last season due to transfer rules. Bourcier, who committed to UBC in April, has demonstrated an incredible scoring ability at the high school level. 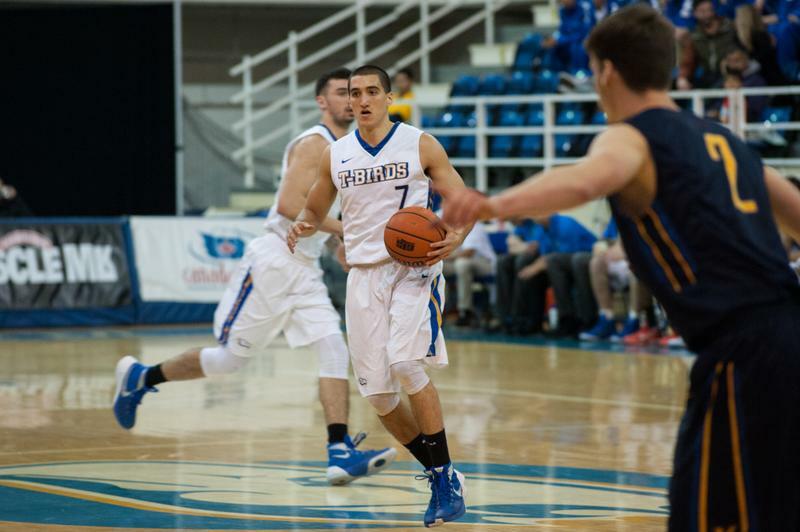 At point guard, Phil Jalalpoor and A.J. Holloway each bring polar opposite styles to the ‘Birds backcourt. Jalalpoor is a steadying presence, effectively initiating the UBC offence and protecting the ball with an impressively low turnover rate; his distribution skills were vital in getting the ball to shooters across the floor last season. In contrast, Holloway veers from the typical point guard mould, injecting a rapid tempo off of the bench and providing greater scoring ability. The Tacoma native brings feistiness to the defensive side of the floor, but his overzealousness has put him in some foul trouble on occasion. One thing is clear: depth will not be a concern for the ’Birds this season. Led by an established star in Conor Morgan, the versatility and athleticism of this UBC squad will provide the coaching staff greater flexibility. Littered with players who can both shoot and guard multiple positions, the 'Birds roster has national title aspirations written all over it. We will soon find out if their performance can match their potential.